In Trial by Tactics you are shown the position just before the tactic occurs and then asked to visualize the winning sequence. Thereby emulating a real game scenario. We intersperse these puzzles with endgame studies and chess problems to explore the broad spectrum of chess creativity. 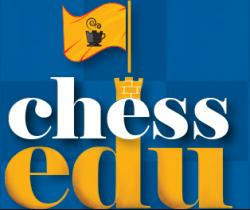 We recommend using Trial by Tactics in conjunction with the ChessEdu.org curriculum. A new puzzle is posted daily. Trial by Tactics is our member-only Daily Chess Puzzle. Members enjoy access to all archived content, including thousands of PDFs and hundreds of Ebooks – all free!